Ayala Emmett took up the status of Professor Emeritus of Anthropology in January 2014 after over twenty-five years of service to the University of Rochester. Professor Emmett studied English Literature, Sociology and Anthropology at the Hebrew University in Jerusalem, during which time she conducted fieldwork among Jewish immigrants from Buchara and Tunisia. She completed a Ph.D. in anthropology at the University of Rochester in 1980 for a dissertation based on research among White dual career couples in Rochester. She then conducted a series of studies at Strong Memorial Hospital on adolescent pregnancy and maternity and on infant feeding patterns among low-income mothers. After joining the full-time faculty in the Department of Anthropology in 1987, she began a research project on Israeli women’s peace activism and the Israeli-Palestinian conflict that resulted in a monograph, Our Sisters’ Promised Land: Women’s Peace Politics And The Israeli Palestinian Conflict (Michigan 1996), which was reissued in a second edition in 2003. From 1995 to the present Professor Emmett has been conducting research on women pastors in the American Presbyterian Church. In 2004 she began a parallel research project on Jewish women who have been taking on traditionally male roles in Jewish rituals. Throughout her career as a social scientist, Professor Emmett has maintained an active interest in creative writing. In 2000 she received the Award for Ethnographic Fiction from the Society for Humanistic Anthropology for her story “Going to America Under the Jacaranda Tree” and taught a course for a number of years on Creative Ethnography. She has made many important contributions to the scholarly life of the College, especially in the area of women’s and gender studies. She was a founding member of the Women’s Studies Cluster from 1982-1987; served on the first Steering Committee and as the chair of the first Research Seminar of the Susan B. Anthony Center in 1986-1987; and taught one of the core seminars in the Women’s Studies concentration for many years. She has also been active in the Rochester community. In 2005, she founded Seeds for College, an organization that encourages inner-city minority students to finish high school and go on to college. 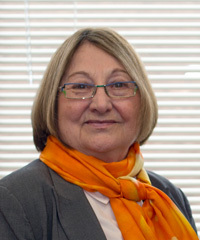 Professor Emmett developed a well-deserved reputation among students during her time at Rochester as a generous and supportive mentor. She piqued the interest of her students in a scholarly discipline about which they were often unaware and then guided them in designing and carrying out original research projects. Professor Emmett’s deep commitment to pedagogy is exemplary; she supervised numerous honors theses and several doctoral dissertations. Her colleagues will miss her sound advice and calming presence in the department. We wish her well on all her current projects, which include launching a website on Jewish pluralism. 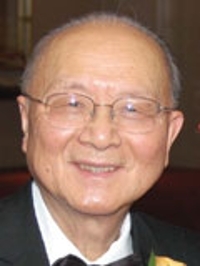 James C. M. Li, Professor of Mechanical Engineering and of Materials Science, and the Albert A. Hopeman Professor of Engineering at the University of Rochester, will retire on June 30, 2014. A member of the National Academy of Engineering since 2006, Jim has been a giant in the field of materials science over an academic career that spans more than 60 years, and has produced results that are now included in textbooks in materials science. His lasting contributions include the development of the rapid quenching technology for making amorphous metallic alloys, a technology that has created a major new industry and materials development effort at national and international markets. Jim’s contributions include the fundamental aspects of dislocation plasticity in crystalline materials. His application of dislocation theory to explain the famous Hall-Petch relation between strength and grain size in materials is now classic, as is his formulation of the thermodynamics and kinetics of stressed solids, and the understanding of grain boundaries via dislocation mechanics. His scientific approach, combining careful and elegant experimentation with a fundamental analytical and modeling capability to account for microstructure and thermodynamics have become exemplary. His honors include just about every award that may be conferred in materials science: They include the Mathewson Gold Medal Award of the Materials Society, the Acta Materialia Gold Metal, the Albert Easton White Distinguished Teacher Award from the American Society of Materials. He has also been elected Fellow of the American Society of Materials, and the American Physical Society. Most recently, he will receive the 2015 International Gold Metal from the American Society of Materials. Jim has been a committed and involved teacher, having trained more than forty Ph.D. students. He has received the Graduate Teaching Award at Rochester, as well as the Lifetime Achievement Award in the Hajim School of Engineering and Applied Sciences. He has published four books on the correlation of microstructure and material properties. His published work, in almost 400 archival publications, has ranged from micromechanical deformation, to dislocations interactions with cracks, to stress-driven diffusion, to polymer kinetics and deformation, to development of new catalysts for fuel cells. Jim has been a close, engaging, and superb mentor to many of our faculty and students. Modest and collegial, he has selflessly provided insights, ideas, and advice to any scientist and engineer he has interacted with. With a perpetually open office door to anyone from the youngest student to the most mature faculty, and the profound ability to grasp all areas of applied physics and provide insight and guidance, he has set the example of what a faculty member at the University ideally should be: A profound and prolific researcher; a committed and dedicated teacher; and a warmest, most engaging, and selfless human being. John H. Thomas, Professor of Mechanical and Aerospace Sciences and Professor of Astronomy at the University of Rochester, will retire on June 30, 2014. 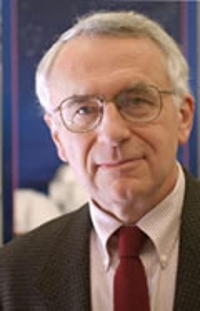 Jack Thomas joined the University of Rochester in 1967 as Assistant Professor, following his graduate education at Purdue University and a postdoctoral appointment at Cambridge University. He has been affiliated with the C. E. Kenneth Mees Observatory at the University, and also with the National Center for Atmospheric Research at Boulder, Colorado. His long service at our University includes serving as University Dean of Graduate Studies from 1983-1991. Jack has held many visiting positions, including at the Max-Planck-Institute for Physics and Astrophysics, University of Sydney, Laboratorio de Astrofisica y Fisica Fundamental in Madrid, Spain, and the Department of Applied Mathematics and Theoretical Physics, at the University of Cambridge. Professor Thomas’ area of research has been in fluid dynamics and magnetohydrodynamics, with applications in astrophysical and solar dynamics. With more than one hundred archival publications, he has also served as Scientific Editor of The Astrophysical Journal, arguably the premier journal in the field, as well as in many panels overseeing solar observatories, including the National Solar Observatory. Jack’s contributions to the scientific community are highlighted by two books: Sunspots: Theory and Observations, published by Kluwer in 1992, and Sunspots and Starspots, published by Cambridge University Press in 2008, both co-authored with Nigel Weiss of Cambridge University. Among many honors, Jack has been recognized with a Guggenheim Fellowship, as Fellow of the American Physical Society, Fellow of the American Association for the Advancement of Science, and Senior Fellow at the Isaac Newton Institute for Mathematical Sciences at the University of Cambridge. Having taught a large number of courses in the Department of Mechanical Engineering ranging from applied mathematics, to fluid mechanics, to experimental fluids courses, Jack is leaving a lasting legacy of warm collegiality, highest standards, thoughtful involvement in our departmental life, and exacting professionalism.